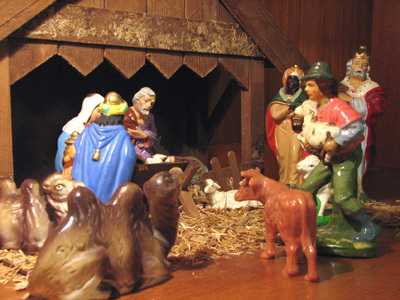 sights, sounds, and emotions of the first Christmas. Let’s begin by thinking about Mary and the journey she took. Here was a young woman who was about 9 months pregnant when she and Joseph set off toward Bethlehem. This young woman was great with child, and yet she was faced with being put on a donkey and riding for days. would cringe at the thought of such a journey. Mary spent mile after mile on a donkey - being tossed up and down and back and forth. This uncomfortable ride was endured every moment from her hometown of Nazareth to Bethlehem. Every woman who is ready to deliver seeks female support. Imagine the emotions of this young first-time mother-to-be. Each step the donkey took brought her farther and farther away from her mother, her aunts, her sisters, and all the other familiar women of her village. Mary realized that she was going to have to give birth in a far-off town not knowing if there would be any women available to help her. The only help she could depend on was a man - who she had no intimate history with. A man who she had just begun her life with. Most speakers focus on Mary during this season. Rarely do I hear someone focus on her companion – Joseph. Go with me back to a time very early in the Christmas story. The time right after Mary found out about her coming divine bundle of joy. News of Mary's pregnancy would travel fast in Nazareth. Almost overnight the entire little village would have been filled with whispered voices and lingering stares at the hometown maiden and her betrothed husband Joseph. 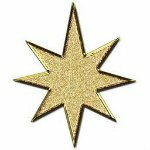 The growing contempt for Mary's “supposed sin” must have caused Joseph to have a variety of painful feelings such as jealousy and frustration... and probably anger. Mary had a supernatural angelic "heads up" before she had to face the misinformed mob that would cause her to endure personal persecution. Mary knew the truth about the situation. But Joseph heard about the news in a very un-supernatural way. When Mary told Joseph the story, I venture to say, that just like Joseph, no one reading this Christmas devotion would have believed Mary's illogical story. Joseph's first impressions of the situation must have included thoughts of betrayal and hopelessness. All Joseph's dreams were being shattered. Yet, soon after Mary gave him the news, Joseph had a dream informing him that Mary was telling him the truth. So this confused carpenter merged a divine dream that he had with what he knew of the character of his bride-to-be. The amazing result was an unshakable faith in Mary's story. Joseph is an unsung hero in the story. Mary knew for sure - but Joseph believed the impossible with only a dream and Mary's word. Joseph bravely rescued Mary. He ignored the painful accusations. He took Mary as his wife. Then we see Joseph gallantly walking with Mary step-by-step to Bethlehem. God honored Joseph by choosing him from among all men to help raise Jesus the Messiah. But that honor came with many difficult days. Each one of the characters in the Christmas story is a real person… as real as you and I are. Think about the Bethlehem shepherds. 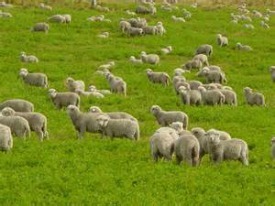 They spent their days protecting and providing for helpless sheep. 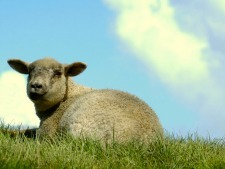 Year after year - they sat among the sheep listening to their gentle baaing and rubbing their soft wool coats. Night after night they looked up at the twinkling sky. Nothing much out of the ordinary ever happened out there under the stars. Then one night, these shepherds became an audience to a radiant angelic choir. The shepherds were stunned and completely astonished. I find it interesting that the sheep that the shepherds were protecting that night - would one day grow up to be taken to Jerusalem to be slain for the sins of the people. Yes, the sheep they used in Jerusalem came from Bethlehem. Those nativity shepherds regularly tended to the lambs destined for sacrifice. But on this night of nights - the most special night of all - their eyes beheld the little lamb of God. They saw the one who would grow up to take away the sins of the world. That is awesome to think about! Another interesting part of the story is the name of the town that Jesus was born in. 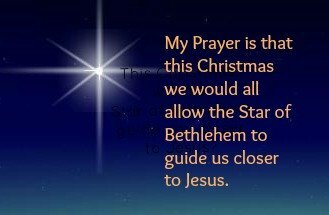 Do you know what the word "Bethlehem" means? "Beth" means "house" and "lehem" is translated "of bread." Bethlehem means "House of Bread." In John 6:35, Jesus said, “I am the bread of life. " 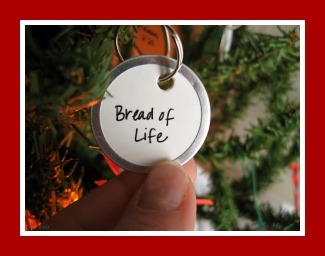 So Jesus, who was called the bread of life, was born in a town called the House of Bread. God hides those kinds of interesting treasures for us to find and ponder. 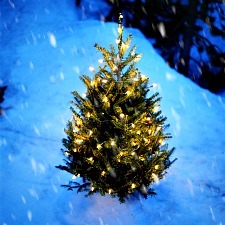 I encourage you to add your imagination to this Christmas Devotion. beautiful new layers of meaning for you! It certainly does for me!